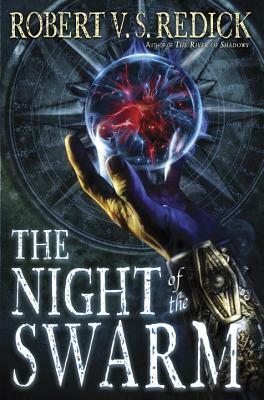 Robert V. S. Redick brings his acclaimed fantasy series The Chathrand Voyage to a triumphant close that merits comparison to the work of such masters as George R. R. Martin, Philip Pullman, and J.R.R. Tolkien himself. The evil sorcerer Arunis is dead, yet the danger has not ended. For as he fell, beheaded by the young warrior-woman Thasha Isiq, Arunis summoned the Swarm of Night, a demonic entity that feasts on death and grows like a plague. If the Swarm is not destroyed, the world of Alifros will become a vast graveyard. Now Thasha and her comrades -- the tarboy Pazel Pathkendle and the mysterious wizard Ramachni -- begin a quest that seems all but impossible. Yet there is hope: One person has the power to stand against the Swarm: the great mage Erithusmé. Long thought dead, Erithusmé lives, buried deep in Thasha's soul. But for the mage to live again, Thasha Isiq may have to die.